Our dresses are made by hand in small batches and each piece is unique. As such, we are unable to operate a click-and-purchase site. Not to worry, however: we have our own system. Simply copy the list of questions (below) and paste them with your answers in an e-mail to us at girls@tumbleweedboutique.com. This way our knowledgable staff can send pictures of a selection of dresses for you to peruse from. Choosing your Kara-Line: our dresses are not sized, but they're not one-size-fits-all. Most fit between sizes 4-10 and some styles work on size 12, depending on the style and fabric. Each style fits and flatters different bodies, and every fabric wears differently than others. We'd love to help you find the styles that are perfect for you, and it will help us to find the best options if you're as detailed as possible about your preferences and body type in your email to us. And get this: nearly all of our fabrics are machine wash on gentle cycle, line dry, and iron only if you want to. Easy! We get in a new fabric collection every couple of months, so keep up to date by checking our blog for the latest styles and fabrics. After you’ve made your selection, we will ship you your box of options. We will only charge you for the shipping to start, and after you've made your decision you have 3 days to simply return what you don’t absolutely love, and we will charge for the items you keep. As always, contact us with any questions you might have. What type of prints do you like? Dislike? How do you describe your body type? 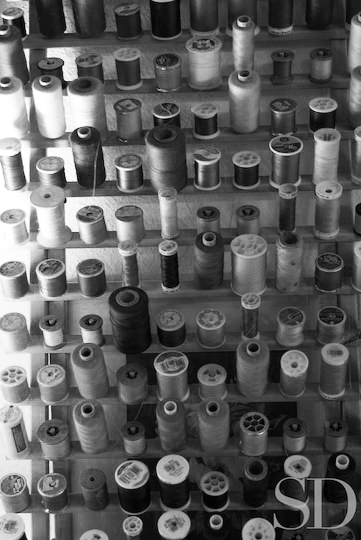 Fabrics: Our dresses are made of rayon, silk, cotton, linen, or wool, all of which can be hand washed. Please let us know if you have any preferences. We ask that you call us with your credit card number so we can charge for shipping. Any returns must be made in 3 days, via UPS. We accept Visa, Mastercard, and American Express.